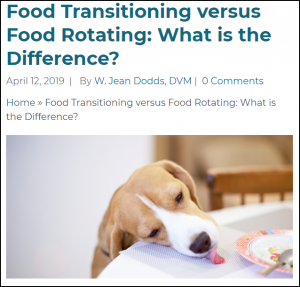 Posted on April 14, 2019 Categories Shared Blog PostTags dietary rotation, Dr. Jean Dodds, food allergies, food intolerance, pet nutritionLeave a comment on Shared Blog Post – Food Transitioning versus Food Rotating: What is the Difference? 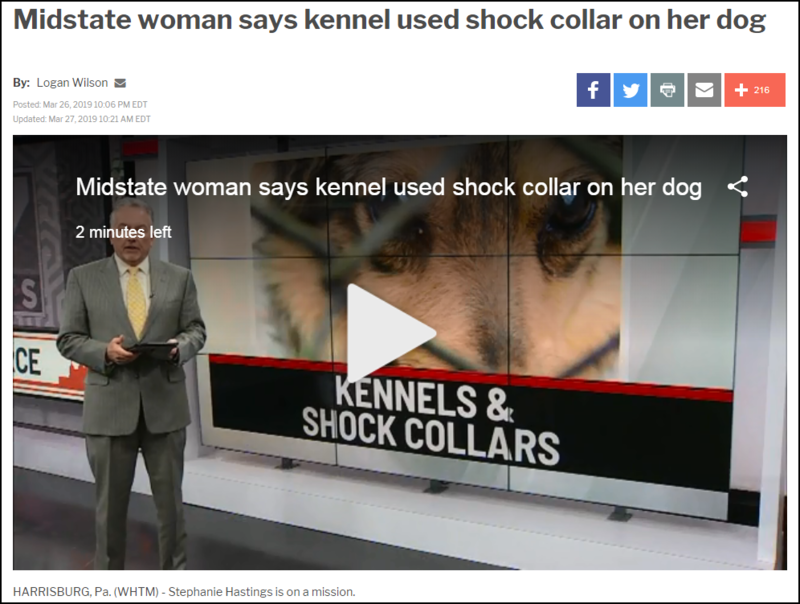 Hastings later learned that it is legal in Pennsylvania for a boarding kennel to use a shock collar on a dog. Stephanie Hastings is now on a mission to strengthen animal cruelty laws in Pennsylvania. I’m sharing this report because this same thing could happen in Maine as there is nothing in Maine state law to prevent this type of abuse. When you board your dog, please verify that your kennel would NEVER use or recommend shock collars or any aversive for any reason. 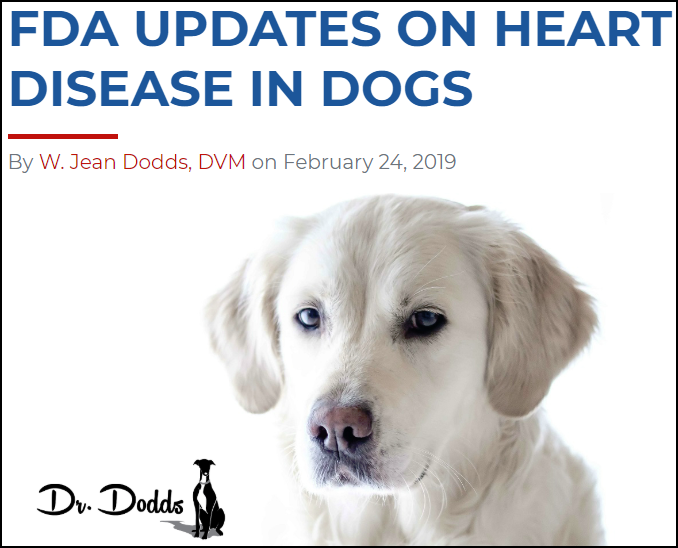 I suggest that you ask the same of your trainer, groomer, daycare, veterinarian and basically any pet care facility including shelters, humane societies and rescue groups. The PPG and the American Animal Hospital Association (AAHA) both have policies in place that state aversives (alpha rolls, beating, cattle prods, choke collars, dominance downs, electronic shock collars, lunge whips prong (pinch) collars, shock collars, anything aversive) should NEVER be used with pets. 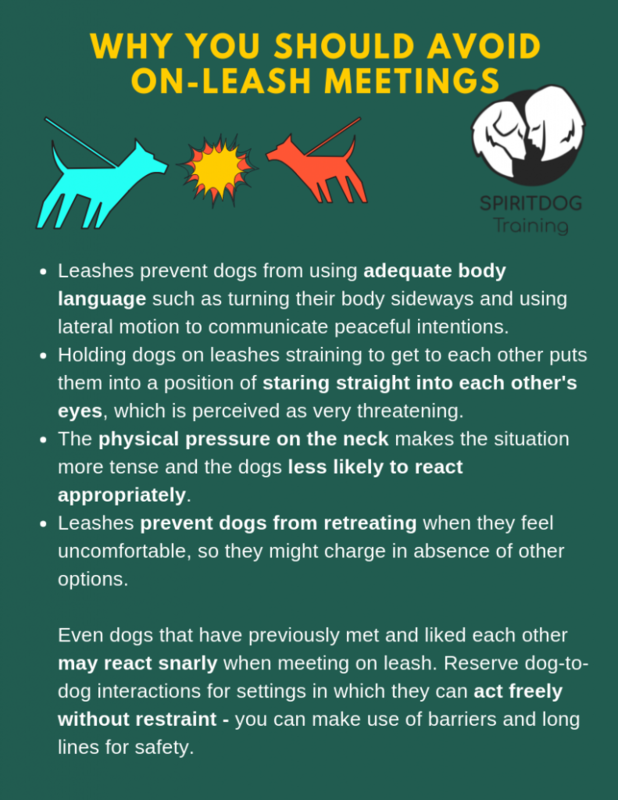 A great poster from SpiritDog Training on the importance of avoiding on-leash meetings between dogs. 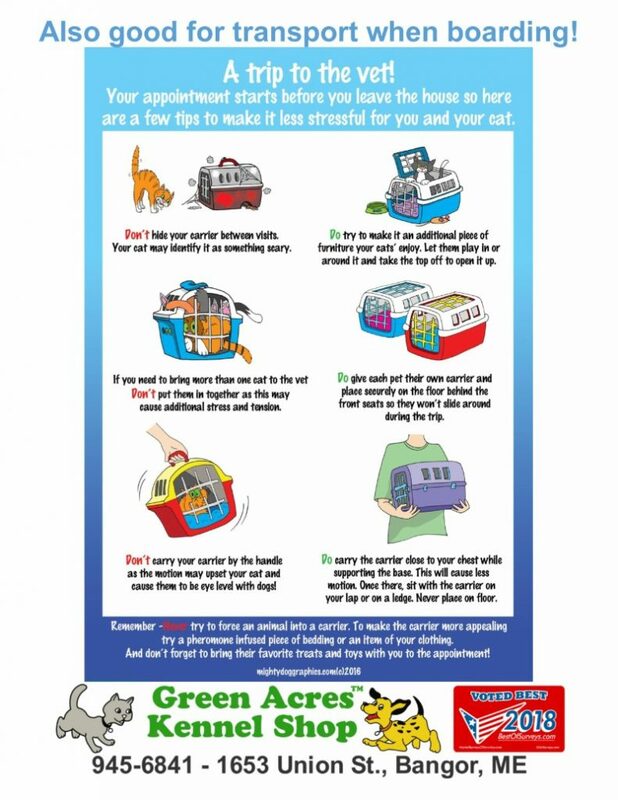 SHARED POST – Family Paws Parent Education – Being Dog Aware – ALWAYS! 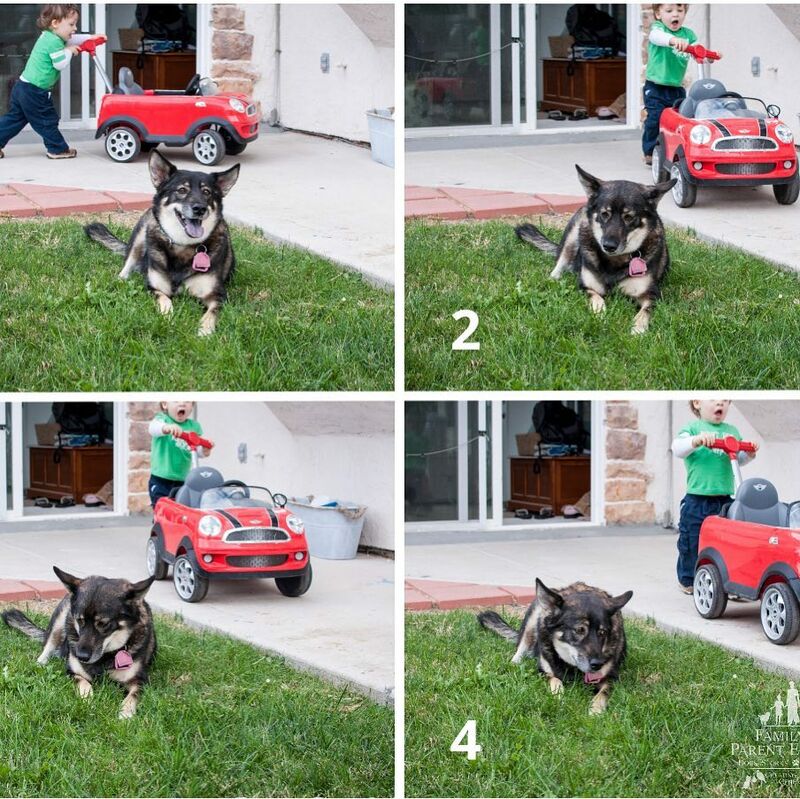 This educational post from my friends at Family Paws Parent Education on their Facebook page Dog And Baby Connection illustrates the importance of ALWAYS being aware of a dogs body language and how quickly it can change as the dog get stressed as the child gets closer. 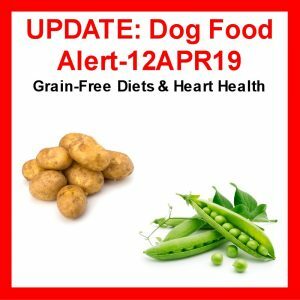 If you found this post because you have a dog that is guarding their food or is doing any type of resource guarding or other form of aggression, I strongly encourage you to seek professional help from a Certified Dog Behavior Consultant ( click to find a CDBC near you ), a Certified Applied Animal Behaviorist, CAAB ( click to find a CAAB near you ), or a Veterinarian that is Board Certified in Veterinary Behavior, DACVB ( click to find a DACVB near you ). Resource guarding or any type of aggression by a dog has the potential to result in a dog bite. If you are concerned that your dog has a high probability of biting you need to address this immediately. A dog that bites can be very dangerous < click to read about dangerous dogs >. 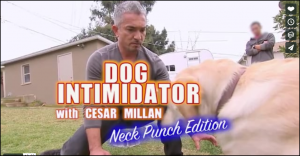 As you will see in the following video provoking the dog or threatening them or trying to be “dominant” is only likely to make matters worse. 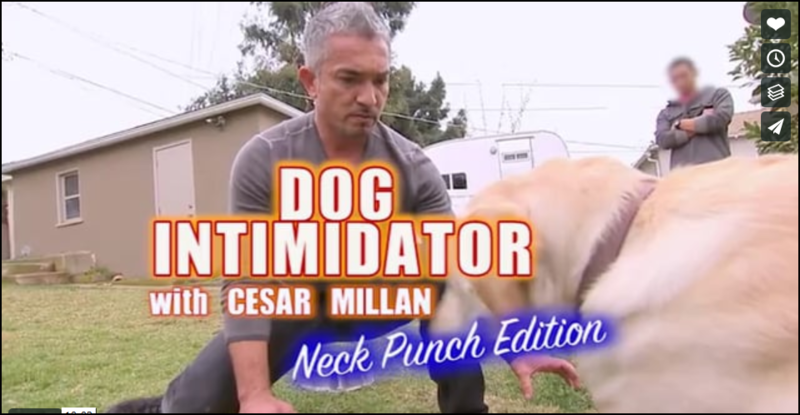 There is a segment in the documentary film Dogs, Cats and Scapegoats < click to view > that shows the Dog Whisperer, Cesar Milan, punching a yellow Labrador Retriever in the neck, allegedly to teach her not to guard her food. 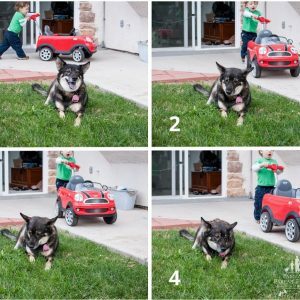 I am sharing this blog post and video because it is an excellent tool for learning more about canine body language when a dog is feeling threatened. At the conclusion of Show Down with Holly in Slow Motion – A dissection of canine body language you will find two links to more information. 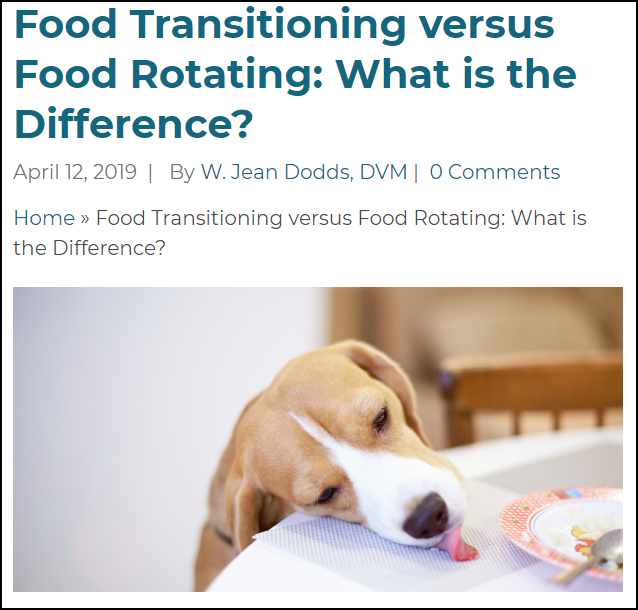 The first is an excellent article on resource guarding by Dr. Patricia McConnell, a Certified Applied Animal Behaviorist and author < click to read >. The second is a blog post by Jim Crosby < click to read > which provides a written description with time codes of the Showdown with Holly as it originally appeared on TV < click to view >. It is also very educational for those wishing to learn more about canine body language. It is important to note that training your dog will NOT typically resolve resource guarding issues — a dog that is behaving aggressively, whether due to fear or anger, is responding emotionally. Teaching your dog to sit, leave it, or any other behavior is all about teaching them to offer a specific behavior when given a particular cue. Training is unlikely to change a negative emotion and may make it worse. 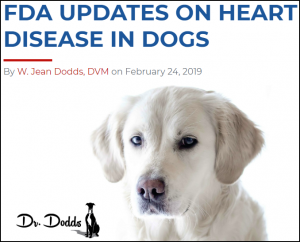 Emotional responses can be altered through behavior modification, and that is where a Certified Dog Behavior Consultant, a Certified Applied Animal Behaviorist, or a Veterinarian that is Board Certified in Veterinary Behavior, DACVB can help you. As a Certified Dog Behavior Consultant, CDBC I offer behavior consultations for clients with dogs with problem behaviors. You can learn more about those services at our website < click to read > and about my approach to these types of problems in this article from my blog; Help! My Dog is Aggressive, Reactive, Fearful, Anxious, etc. – What do I do? < click to read >. 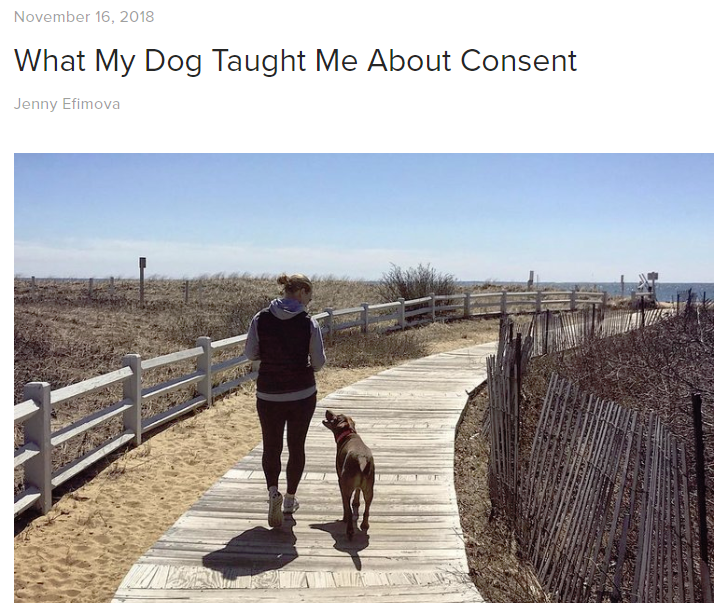 This post by Jenny Efimova from The Happy Dog Blog discusses how the author, an advocate for trauma survivors of domestic and sexual violence learned that the same principals she used with people, “meeting them where they are” are every bit as important when working with her new dog. These two paragraph say it all, but please read the entire article. Having read Efimova’s post on Thanksgiving Day, I must add that I am very thankful that more and more trainers are abandoning training based on pain, force, and fear all of the time. Thank you, Jenny, for sharing your wisdom and helping to spread the word. Shared Blog Post – Does a Wagging Tail Mean a Happy Dog? Many people are under the misconception that if a dog is wagging its tail that it is happy and therefore safe to approach. The fact is, a dog may also wag their tail when aroused, when preparing to attack, when anxious, and while hunting prey.